As most Lehigh athletes near the end of their final seasons, they typically begin hanging up their equipment and preparing themselves to enter the real world.” Their final games represent not only the culmination of their athletic careers, but also a quick transition into the reality of graduation and the trials that come with it. But not for senior forward Mark Forrest. Forrest, who established a decorated career on the Lehigh men’s soccer team under longtime head coach Dean Koski, was selected in the fourth round by the Chicago Fire in Major League Soccer (MLS). Forrest was the 77th overall selection in the SuperDraft. Forrest became a contributor to the team during his first season as a Mountain Hawk. As a freshman, Forrest capitalized on 11 scoring opportunities, and was named third team All-Region and third team All-Patriot League. His presence in the NCAA only grew stronger from there. Forrest completed his senior season with his second consecutive Patriot League Offensive Player of the Year award in addition to being named First Team All-Atlantic Region nominee for a consecutive time. Forrest ultimately finished his career at Lehigh as the second all-time leading scorer with 41 goals and 103 points. But despite his extensive list of accolades, Tuten said Forrest is known for his special range of characteristics that enable him to excel as a leader on the field. Koski, guided the Mountain Hawks to Patriot League Tournament championships in 2000 and 2015, a Patriot League regular season championship in 2006 and four NCAA tournament appearances. He said much of what sets Forrest apart as a player is his consistent work ethic. Forrest is the fifth player under Koski to be drafted by an MLS team. Forrest said playing for Koski has prepared him for the demanding expectations of the next level. 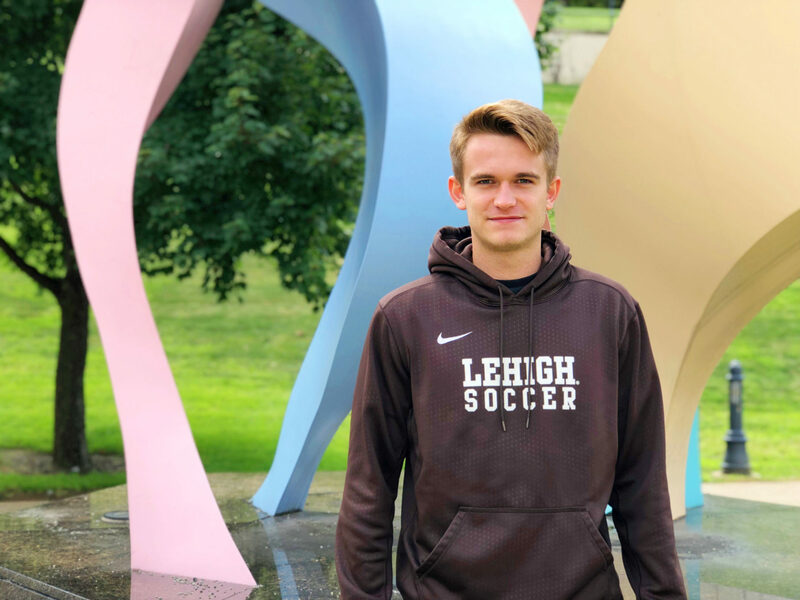 Forrest plans to finish the year at Lehigh and earn his management degree before he fully immerses himself in the MLS process. Forrest said that he’ll likely play for a United Soccer League team at first to further develop his skills and get acclimated with the heightened level of play. For now, Forrest said he’s grateful to have been given this opportunity and is prepared for whatever might come next in the process.